What Is CD Cat Food For? Urinary tract disease is uncomfortable for your kitty. If your kitty is urinating in the bathtub, you may cringe, but before you throw up your hands in frustration, talk with your veterinarian. Your kitty may have a bladder problem. Hill's has a prescription formula cat food called CD or C/D for bladder health. 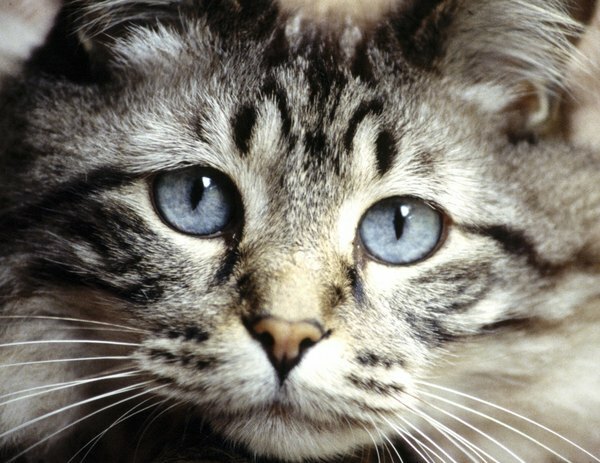 Feline lower urinary tract disease, or FLUTD, is a term for a group of disorders that affects the lower urinary tract (bladder or urethra) in cats. The warning signs of FLUTD are urinating outside the litter box, frequent urinating, pink or dark bloody urine, straining to urinate, licking the genital area and crying when trying to urinate. There is no one cause of lower urinary tract disease so taking kitty to the veterinarian is necessary. A number of pet food companies such as Purina, Royal Canin, Iams and Hill's have a line of pet food especially designed for specific feline conditions. If your kitty suffers from thyroid problems, allergies, digestive health, dry skin and bladder health, there is a pet food to aid in your kitty's health. Each company has a specific label for the different cat foods. Purina's prescription formula for urinary tract problems is labeled UR. Hill's product for bladder health is labeled C/D. Your veterinarian may prescribe Hill's C/D pet food for your kitty's urinary distress. Prescription diet C/D pet food is formulated to help limit building blocks of crystals and bladder stones. It contains controlled levels of calcium, magnesium, phosphorous and oxalate. It also has added potassium citrate to help interrupt bladder stone formation. Higher levels of vitamin B6 helps decrease the formation of kidney stones. It is also high in vitamin E and Beta-Carotene to help promote a healthy immune system. Sodium content is low to maintain normal blood pressure. It also has plenty of protein, 35.5 percent, which your kitty should enjoy. When changing kitty food, transition to the new food slowly. Cats can be finicky. Plan on a 7 to 10-day period to introduce the new food. Begin with mixing a little of the new food into the old food. Continue to increase the amount until your kitty has transitioned. Since Hill's C/D is available in wet and dry, you may want to mix in some wet with the dry. Talk with your veterinarian about the amount of food to feed your kitty and make sure water is available at all times. Your kitty should start to feel better with the help of the pet food and your veterinarian's continued monitoring of kitty's condition. Do Cats Get Fatty Tumors? 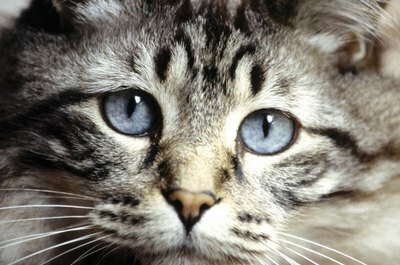 Is it Normal for a Cat to Vomit?